This is Cobra Club Records with their first ever release. 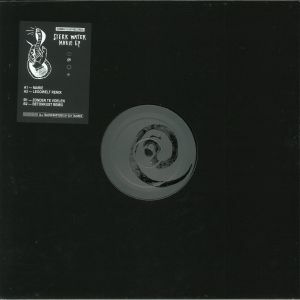 The Marie EP, featuring two originals by The Hague youngsters Sterk Water sporting repetitive minimalism, Dutch lyrics, early 80’s electronica and lo-fi minimal wave on Marie and Zonder Te Voelen. Legowelt and Betonkust are on remix duties. West-coast legend Legowelt obviously closed his curtains for this pitch dark mix for Marie and Betonkust makes you want to put on your ugliest pair of sunglasses with his trancey translation of Zonder Te Voelen.